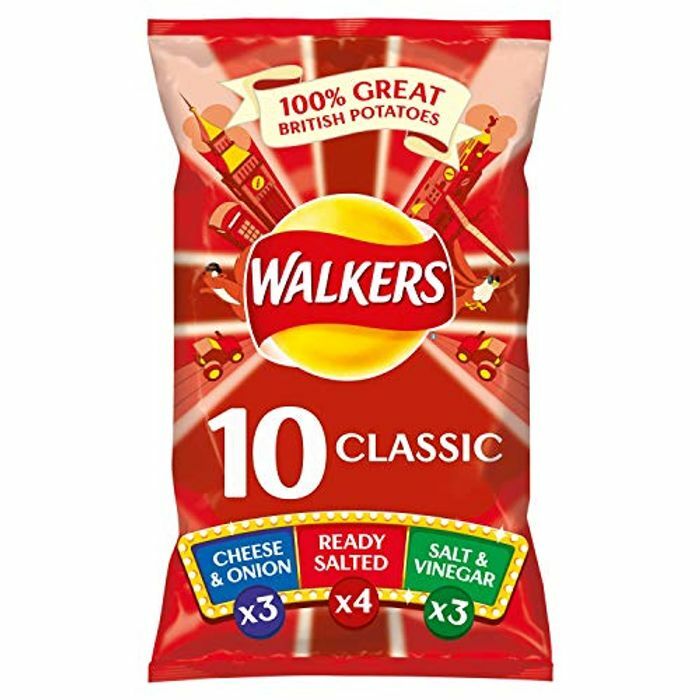 Walkers Classic Variety Case Pack Crisps X 100 Bags! Great deal if you want to wait a few weeks for delivery. check the reviews it looks like you get A LOT OF CRISPS! order 400 packs of crisp (4 lots) and use code BIGTHANKS to get them for £22.60 with free delivery. Thats under 6p per bag! THANK YOU! I'll definitely be doing that! What a bargain!! good deal as it is but reviews make it even better. Thank you! I ordered it and I also hate you! Wow wot an amazing deal 6p a bag ! why did I see this?! How can I not order them now?? Please, somebody help! Walkers crisps are cheap quality. Was about to order till I saw delivery between 1-2mths. Wow, a full weeks worth of snacks. Thank you for posting. Awesome deal but I'm going to pass or I'll just be binge eating crisps. great deal, we use so many with school lunches etc! thanks for sharing! This is a really cheap deal, thanks so much for sharing. I will have to place an order and this price, and worthwhile too as we can stock up for a while. I have ordered these and if they arrive I'll be very pleased. However, has anyone noticed that not one person giving a review, and there are 38 of them, has actually PAID for the crisps? The already strained zips on my jeans would just like to thank Amazon for cancelling my order for 300 packet of crisps. Let the dream of a bikini ready body continue woo hoo! If you have received a cancellation have a go at them. They have to honour the price? Let me know. We're sorry. You've requested more of Walkers Classic Variety Case Pack Crisps, 10 x 25 g (Case of 10) than the 1 available from the seller you've selected. Click here to return to the product detail page and see if additional quantities are available from another seller.